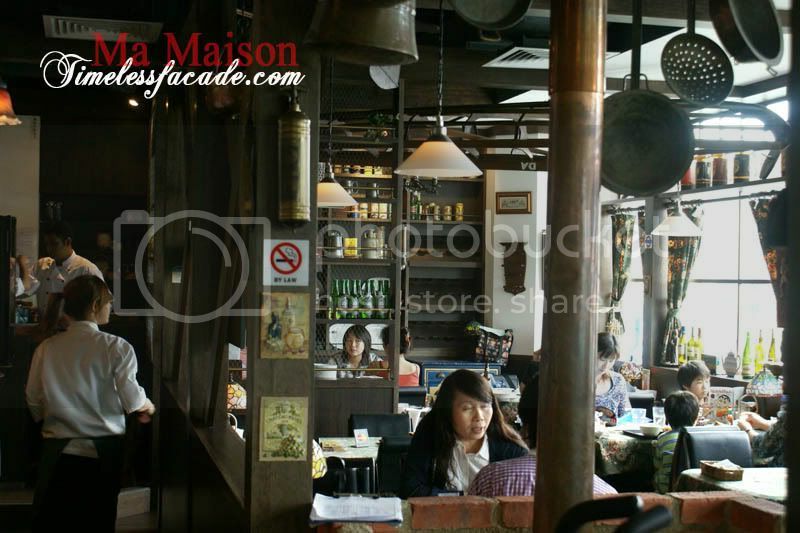 Ma Maison, which means my home in French, started out with an outlet at Bugis Junction and soon expanded to include one at The Central. 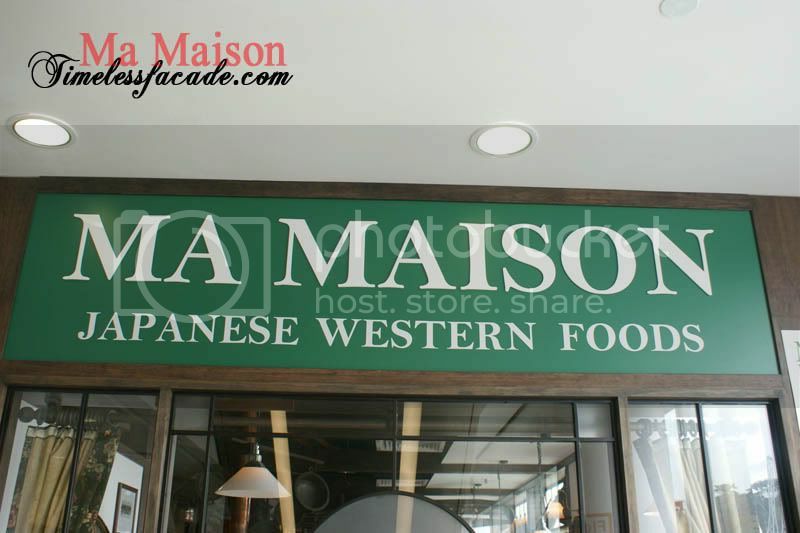 Known for its take on Japanese Western food aka fusion food, Ma Maison packs in the crowds at meal times so don't be surprised if you have to wait for a seat if you arrive without a reservation. 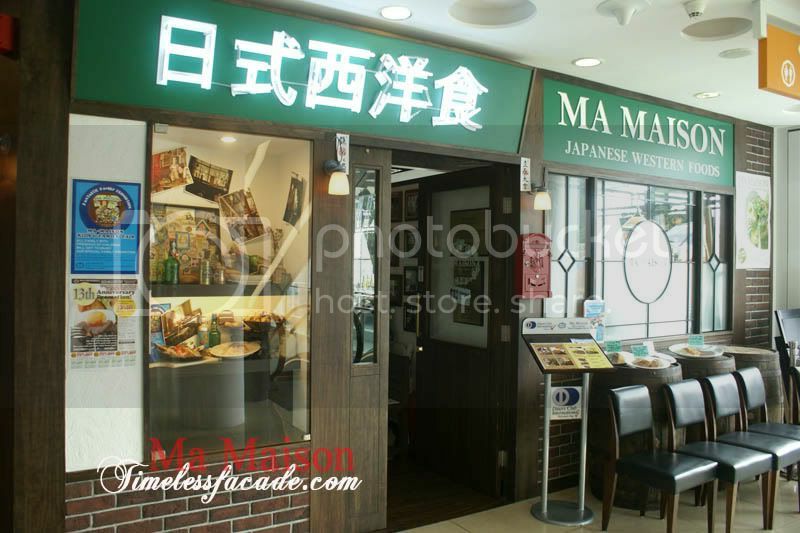 Located just a few units down from Wakashachiya on the third floor, Ma Maison's interior is reminiscent of a quaint little European cottage with lots of wood, overhanging crockery and shelves of various liquids. The cozy cottage feel is further reinforced by replica ornaments of yesteryear placed along the wooden window sill. 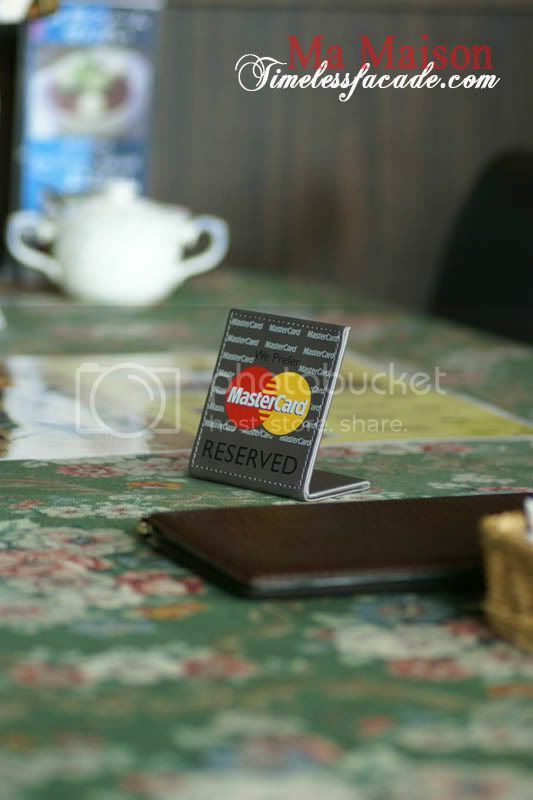 If you are lucky enough, you can get a window seat which overlooks Clarke Quay and the river, but there's probably only 5 such tables or so. 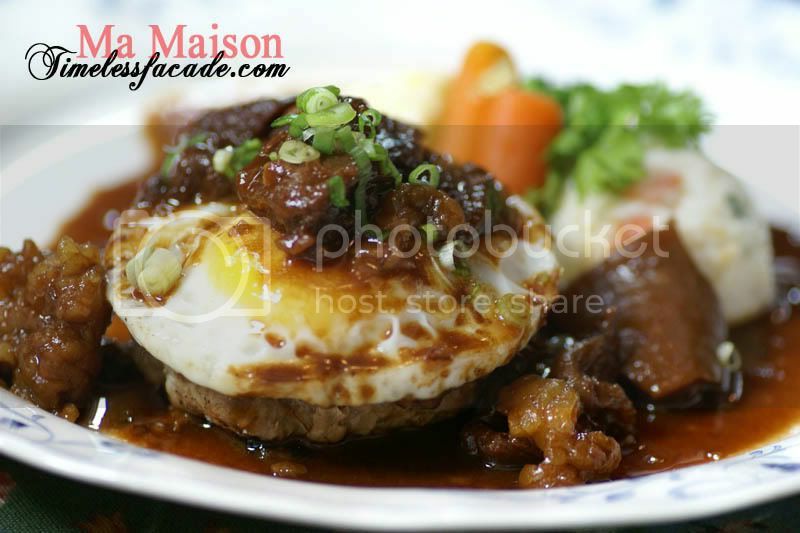 A signature dish of Ma Maison, the Doteni Hamburger was essentially a beef and pork patty covered with a fried egg, topped with beef tendons and draped with a demi glaze sauce that has been left to simmer for 28 days. 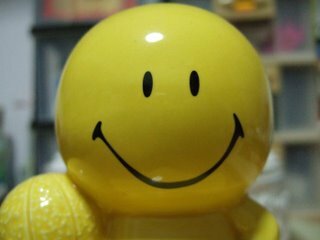 And I liked it. The beef, though almost well done, was moist and juicy with a slightly uneven texture. The egg was perfectly done while the gelatinous beef tendon came across as a little chewy and not overly soft. Coupled with the robust sauce, it set the right note for our lunch. After the horrendous tonkatsu experience at Wakashachiya just a couple of hours before, I was rather skeptical about the tonkatsu at Ma Maison. 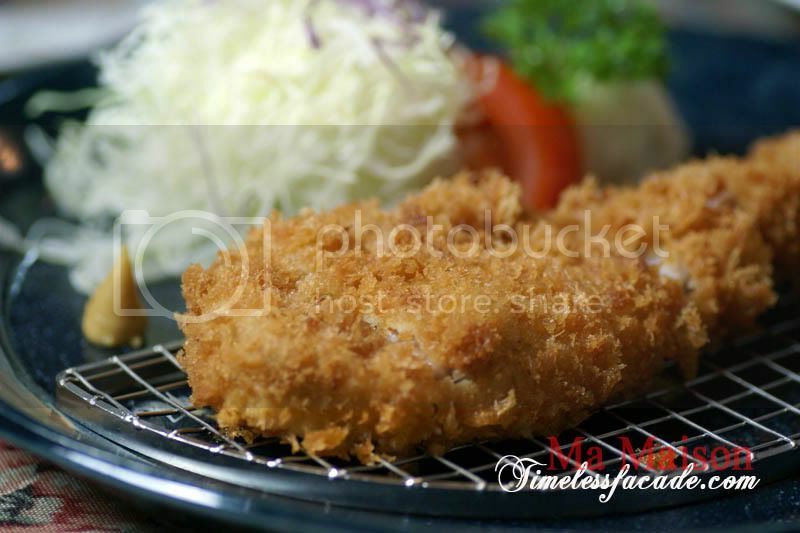 Those fears were put to rest as the pork cutlet turned out fine and surpassed expectations. Sure the meat wasn't kurobuta like Tampopo's, but it was still decently tender while retaining moisture and bite. There was no evident taste of oily residue either. The breaded batter could have been a wee bit thinner though, which would have made it crispier and less oily. My personal favourite. 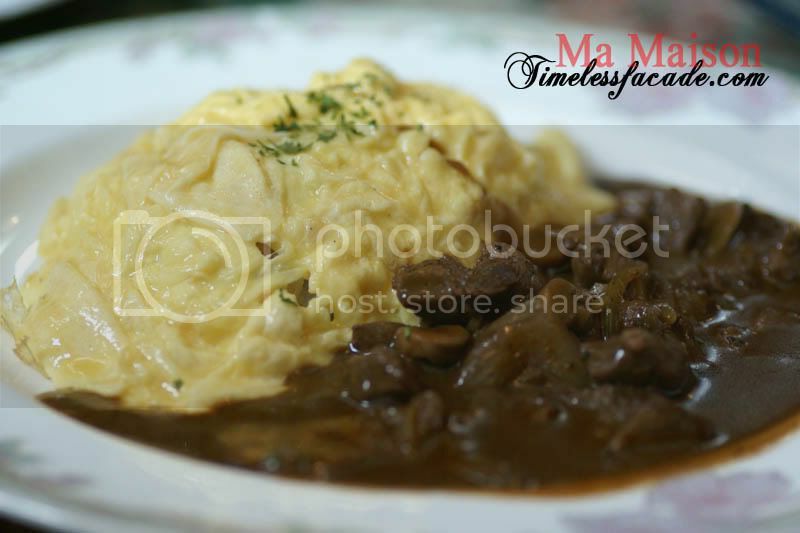 Who can resist tender beef slices served up in a thick savoury sauce coupled with smooth milky omelette enveloping fragrant and tasty buttery rice? 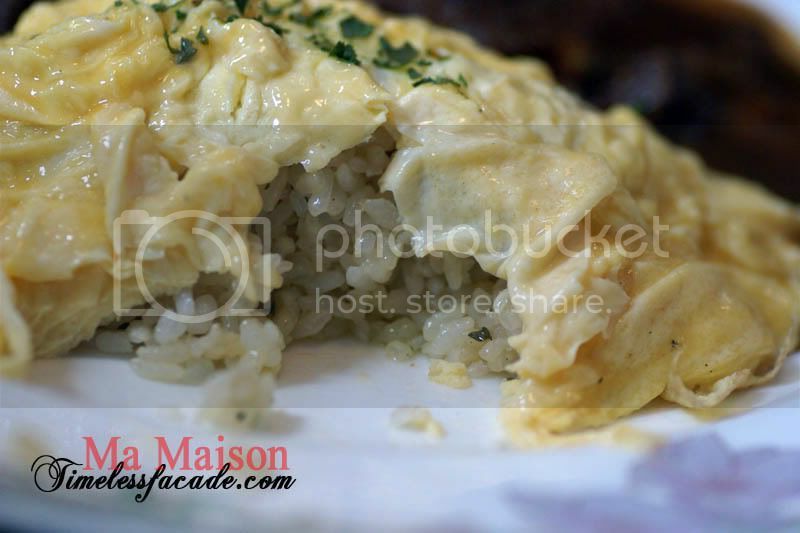 If I'm coming back to Ma Maison, its definitely going to be for this dish. I would prefer a little more butter to go into the rice though, which would make it heartier and of course more artery clogging. Honestly I didn't quite take to the spaghetti. It wasn't al dente and came across rather bland. Maybe thats the way Japanese spaghettis are supposed to taste like, unlike the richer and more robust renditions from the Italians. 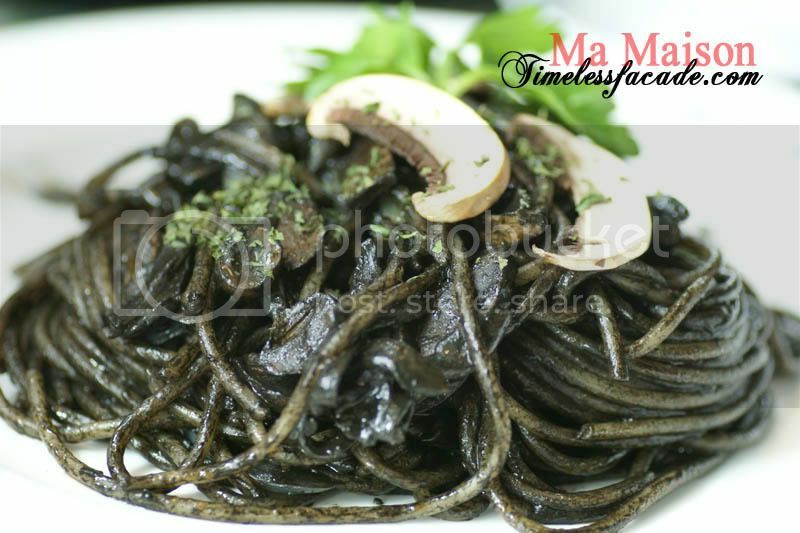 If you like light stuff then this dish would probably suit you but do note that squid ink leaves a dark stain on your teeth so remember to rinse! Wow, everything looks wonderful! Must have been an enjoyable evening. Hi nic! yea it was good, but my egg wasn't runny. haha. LIC, it was free haha.